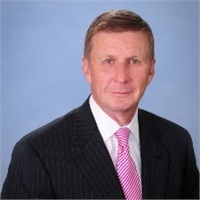 Walter W. Wolak, ChFC, CLU, is the President of Windsor Financial Group. Over the past twenty five plus years, he has continually grown and developed a successful financial services organization with a network of financial professionals to effectively advise clients in the most professional manner possible. Recognizing that a large team of Specialists in a variety of areas to provide support is critical, Walter has created an environment that is committed to excellence, and conducive to providing innovative solutions to client needs. A graduate of Rutgers University, Walter quickly acquired the Chartered Financial Consultant (ChFC) and Chartered Life Underwriter (CLU) designations from the American College. Since then hes received numerous awards and recognitions that have included multiple times as the MassMutual District Manager of the Year, MassMutual Master Agency Growth Awards, and a Presidents Bowl. Additionally, hes received an International Management Awards from GAMA every year from 1987 to the present. Walter and his wife Robin are active in a variety of community organizations. They are the proud parents of three children: Christopher, Kelly, and Tim.